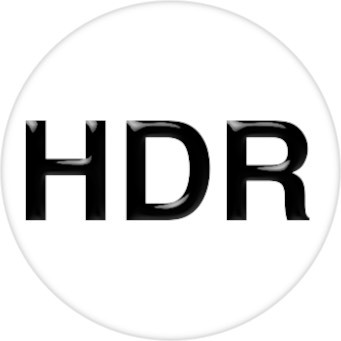 HDTV Supplys High Speed 24 gauge 4K 33 Foot Redmere HDMI cables with HDMI 2.0b and HDCP 2.2 compliancy connects 4K Ultra HD source devices to 4K UHD displays and projectors. The CL2 rated WolfPack 33 Foot Redmere HDMI Cable is designed using the worlds best Spectra7 HT8181 Redmere Chipset. 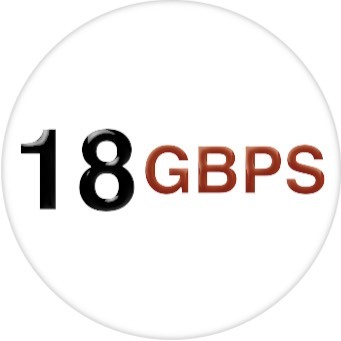 This chipset only needs 5V at 5mA from the sources HDMI port and we have tested it with 32 of them on our 32x32 4K HDMI Matrix switch with excellent results. NOTE: All Redmere HDMI Cables are not made the same and the smaller the diameter (or gauge) of the 19-internal wires an HDMI cable has the more resistance, in ohms, that cable has that can impact the picture quality, especially a 4K at 60 Hz, 18GBPS signal. 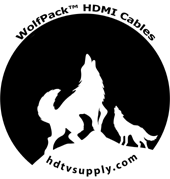 HDTV Supply manufactures this WolfPack Redmere HDMI Cables using large 24 gauge (AWG) wires assuring you better video and audio vs smaller diameter 28, 30 and 32 gauge HDMI cables. Always buy a 24 AWG (Gauge) HDMI cable if you want the best picture now and in the future. With HDTV Supply using the HT8181 module, you can now enjoy your favorite premium content on your large screen HDTV. By embedding Spectra7s patented high-speed active signal processing silicon technology in the WolfPack Redmere cable, the HT8181 allows an HDMI cable to be up to 5 times thinner and longer than current HDMI cables. At lengths up to 66 feet, the HT8181 module enables maximum flexibility in positioning flat panel displays away from source equipment, and slim connectors that allow for easy cable routing. Spectra7s patented high-speed, active signal processing enables super-thin, ultra-long cables and compact connectors capable of delivering up to 18Gbps, 2160p video resolutions, key performance attributes of HDMI 2.0a. The HT8181 utilizes patented power delivery technology for increased power regulation efficiency no additional power cable required. The HT8181 module achieves up to 4K 60p, 4:4:4 resolutions (600MHz pixel clock rate) required by the latest Ultra-HD HDR 4K Displays. Why not buy this 4K WolfPack 33 Foot Redmere HDMI cable with HDMI 2.0a & HDCP 2.2 today? Enhanced, patented power harvesting technology. No external power required. The HT8181 module specs are 5V and the current is 5mA. The 10m HDMI cable is 28AWG cable and OD is 7.3mm, the 15m and 20m HDMI cable is 24AWG cable and the OD is 9.0mm. For starters, the cables feature the newer HDMI 2.0 Spectra7 (RedMere) HT8181 chipset with custom-programmed EQ curves for the specific cable types and lengths. In addition, they include a symmetrical rise time accelerator for both the HDCP and EDID data and clock lines on the I2C bus (display data channel), a custom clock amplifier, and intra-pair skew correction circuit. 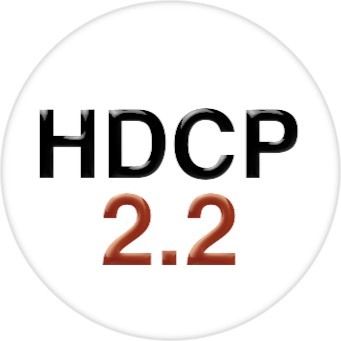 “This eliminates EDID errors and, because this repair is bi-directional, ensures that the HDCP handshaking occurs reliably,” according to Metra. Clock amplification and intra-pair skew correction guarantees signal integrity and synchronization, the company claims. In addition, a 100-millisecond delay on the Hot Plug Detect signal assures the HDMI source device receives the EDID information correctly from the sink. Why not buy this 4K WolfPack 33 Foot Redmere HDMI cables with HDMI 2.0a & HDCP 2.2 that supports 3D today? Uses the HT8181 HDMI 2.0 In-Cable Equalizer: The latest generation of Spectra7′s HDMI in-cable equalization technology, with advanced signal processing allows it to support wide band data across very thin and long cables while maintaining compatibility with the next generation of HDMI 2.0 devices. Spectra7′s power-harvesting technology allows these advances to be supported without external power supplies. CSP packaging provides a compact PC-board footprint, allowing use in the smallest connectors.